Today is a day before our last day! Time flies too fast. T^T We started this day in the kitchen and ate really good breakfast. Mayumi-san made fried egg and ham today and I like to eat everything from egg so it's so nice. Jayoung also made Korean type of omelette and it's good too. After we're done with hostel helping, we walked to Otaru station to say goodbye to Jayoung because it's time that Jayoung has to go to Sapporo. Then we came back to Morinoki which Rina was waiting to join our trip to Tenguyama mountain. We decided to take a walk to the mountain which it's quite a long way. Kindly Masa-san gave us a discount coupon for the roadway so we got on there for the cheaper price and Mayumi-san made us plum orinoki that very tasty. The view of Tenguyama mountain was really nice so we took a lot of photos. There is a chipmunk park with 100 vending machine for sunflower seeds so we bought them but the chipmunk didn't eat our sunflower seeds cause there're so many people which chipmunk might be full. 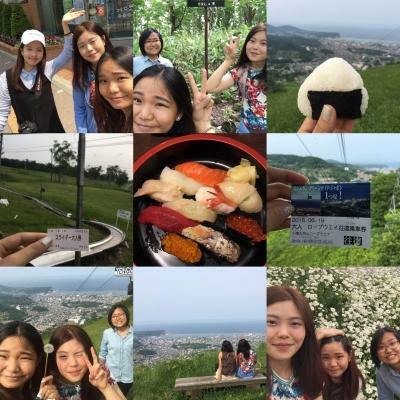 Then we started walking to the top of the mountain wishing to see the great view of Otaru up there after walking for about y15 minutes we're at the top of mountain but there're only one sign surrounded by big trees which we couldn't see the Otaru view. Lol Anyway we tried the slider which is so fun. We walk back to Morinoki tiredly and went out for sushi which is oishi! Lastly we spent the night watching Princess Mononoke with Mayumi-san Rina Earl and Bella. Today is another good day in Otaru. Good places and good friens made a good time! I'm Ann and my friend is Namphueng. We're from Thailand and this is our first time in Hokkaido. 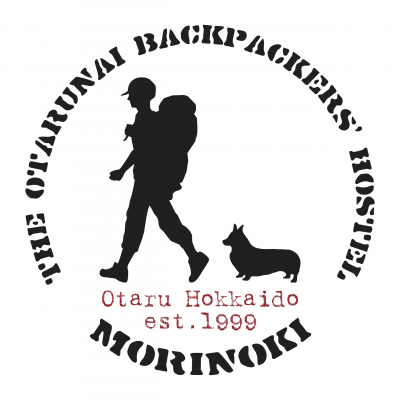 We will be travelling in Japan for 2 weeks and we are so exicted to be here for 5 days. We came to Otaru last night and We were lucky to get to see a Shrine festival nearby the hostel. It's very interesting and fun! When we came back to the hostel, Masa and Mayumi had prepared cakes for us as a welcoming dessert, and it tasted so good! We then had some chattings with three Taiwanese girls, Emi, Yong Hui Lu, and Jun Jia Liu. Today, Mayumi made breakfast for us, which is very nice of her. Yong Hui Lu and Jun Jia Liu waited for Namphueng and I to go get melon ice-cream with them, it turned to be very tasty! Then we headed to the Otaru beer reataurant to have lunch together, also with another Chinses girl, Meander Sun. The foods and beer were so delicious and at a readonable price. After that, Namphueng and I went to see some places in Otaru and tried some more ice-creams. 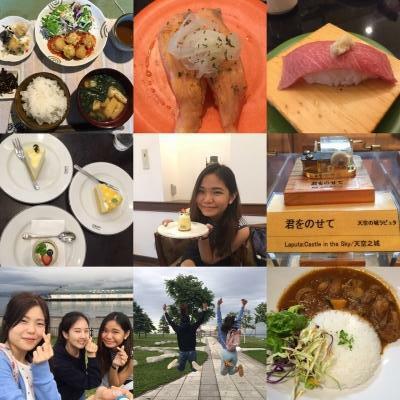 "Otaru is a very beautiful city with lovely weather and delicious things to eat." Then we headed back to the hostel because the weather was quite cold for our few layers of clothes. 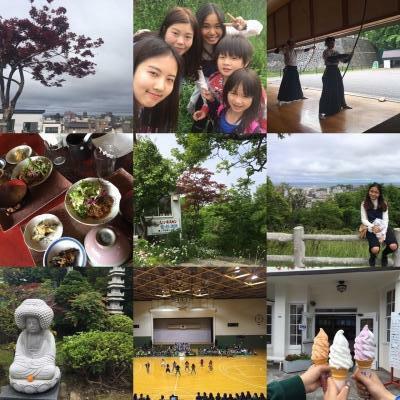 We met some new guests from Tokyo, New Zealand, Australia, had some chats, and headed to the Shrine festival together and had dinner at a ramen restaurant. 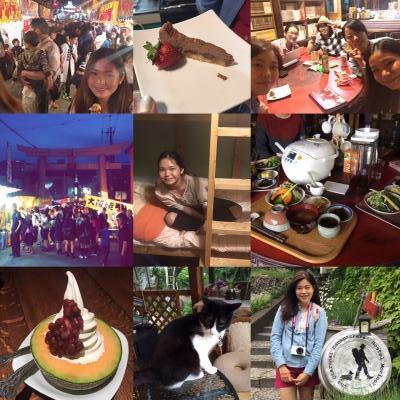 Today was so much fun in Otaru, we had a chance to meet many people and got to see so many new things. 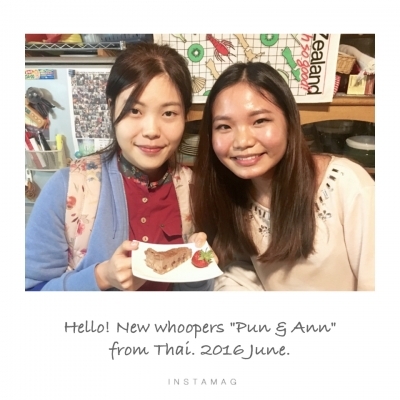 Pun & Ann from Thai.